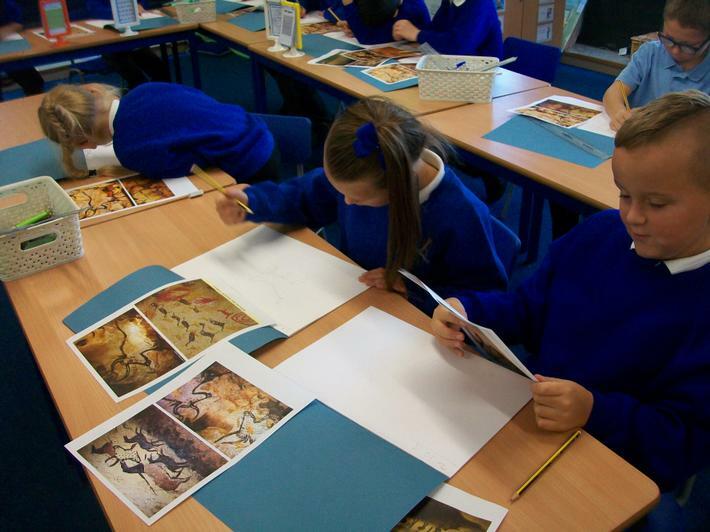 To begin our Prehistoric Britain History topic we had a full day dedicated to the Stone Age. 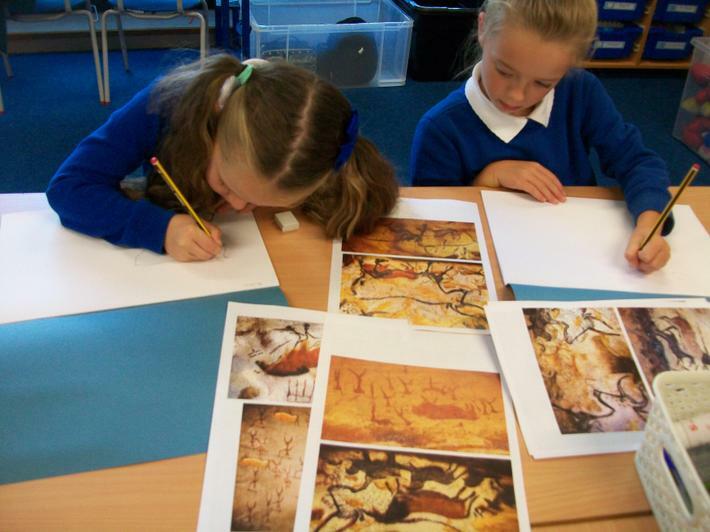 First we became archaeologists and looked at Stone Age artifacts to learn about the past. 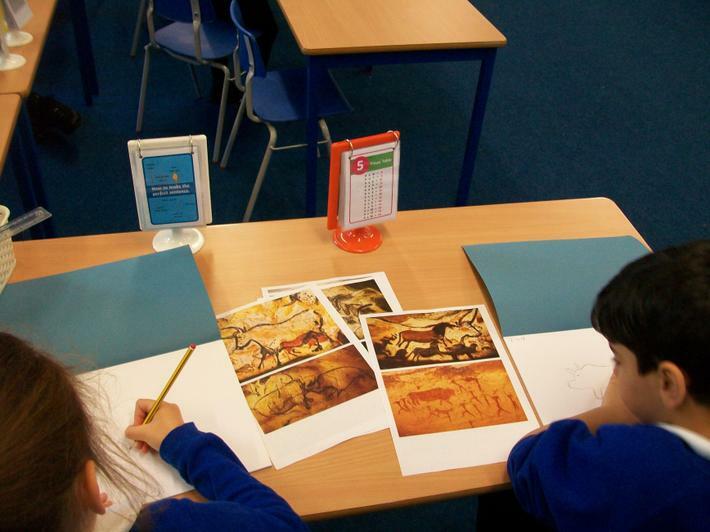 In pairs we looked at photographs of the artifacts and made predictions on what they may have been use for based on what we could see. 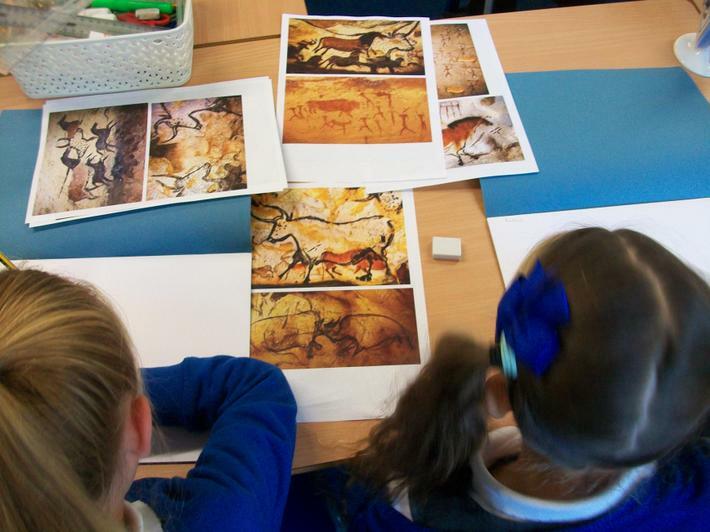 After break we learnt about cave paintings. 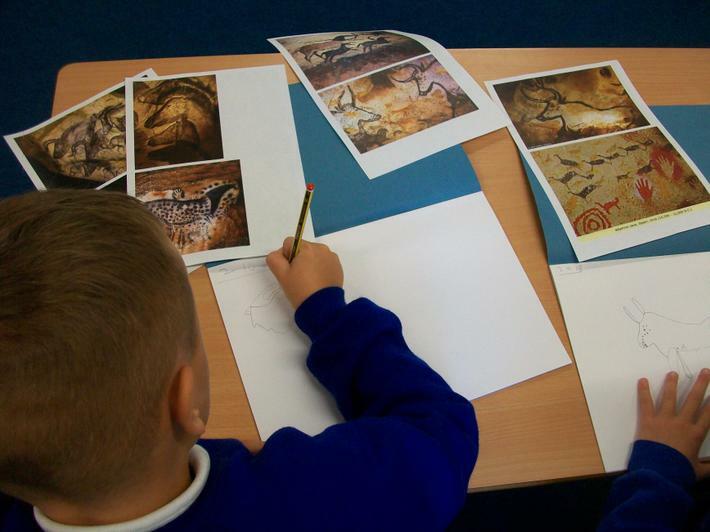 We looked at lots of photographs of real Stone Age cave paintings and discussed them. 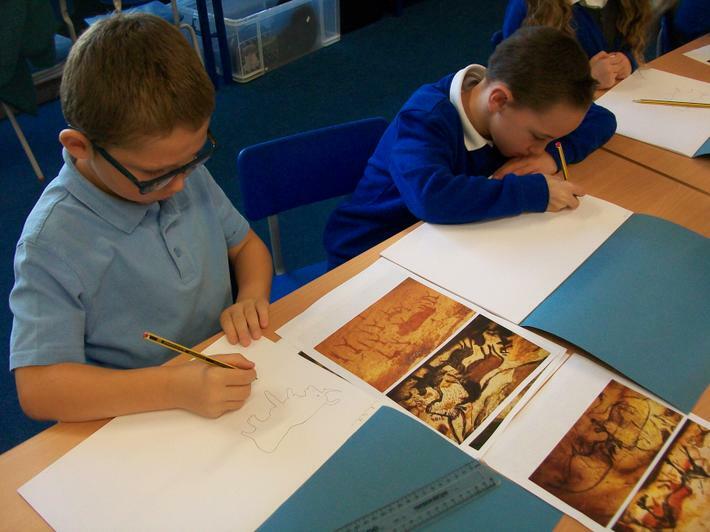 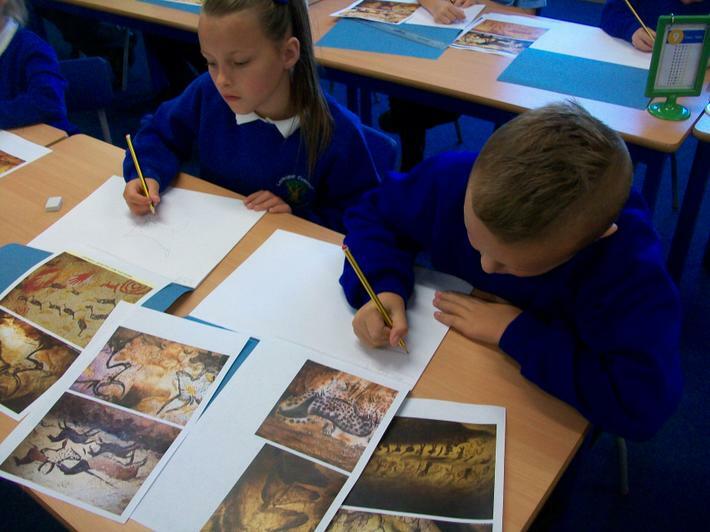 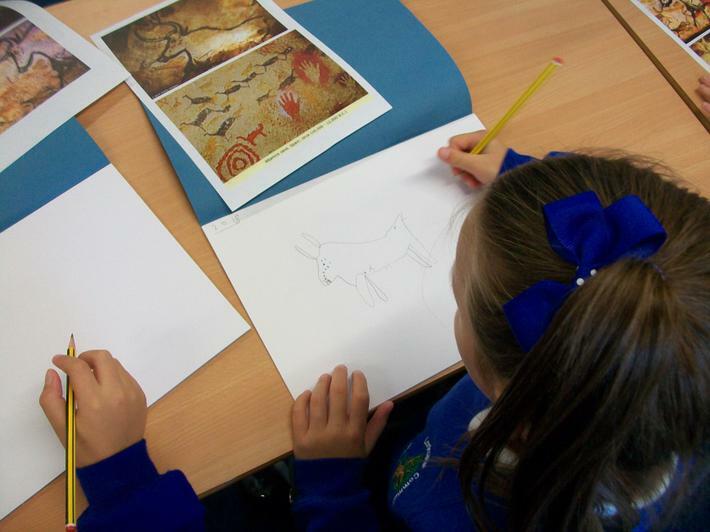 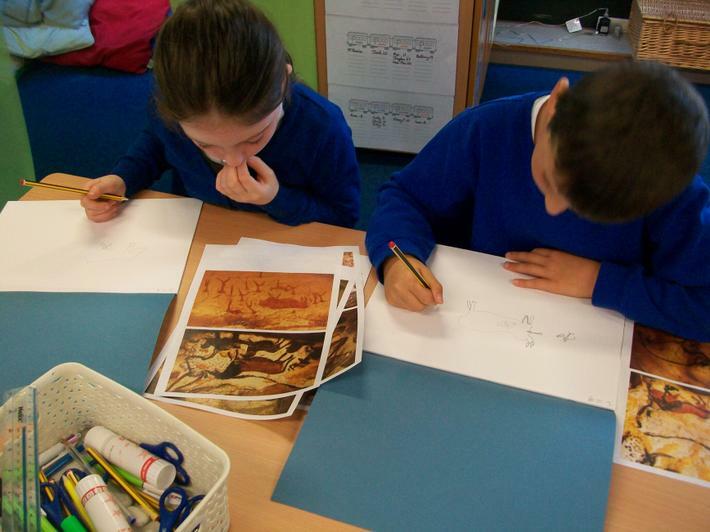 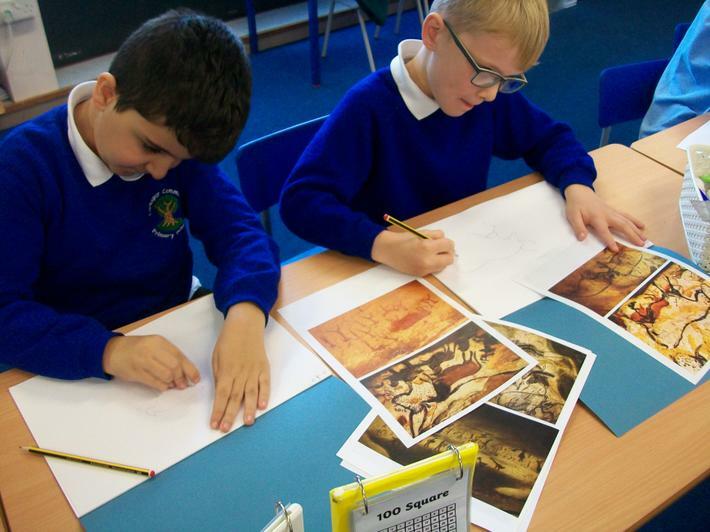 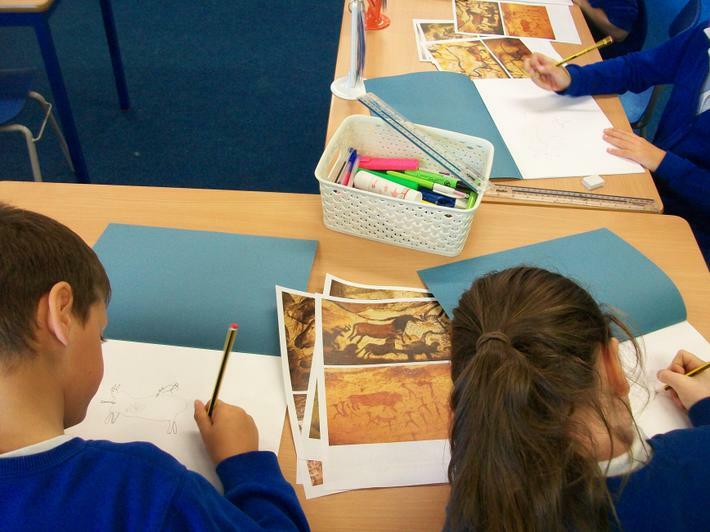 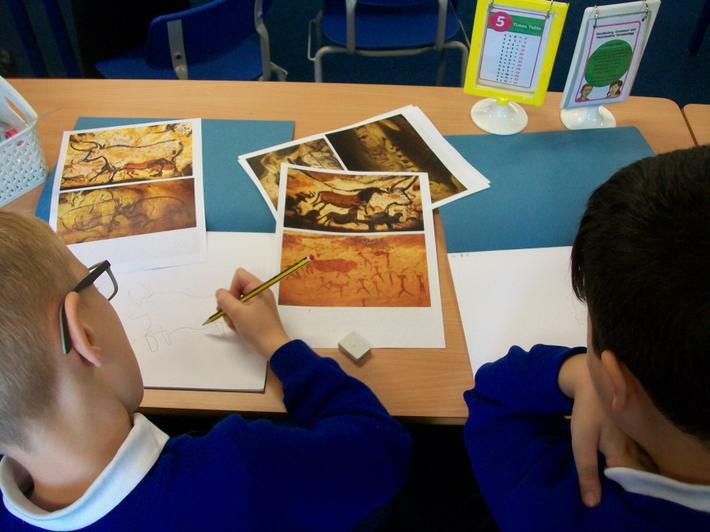 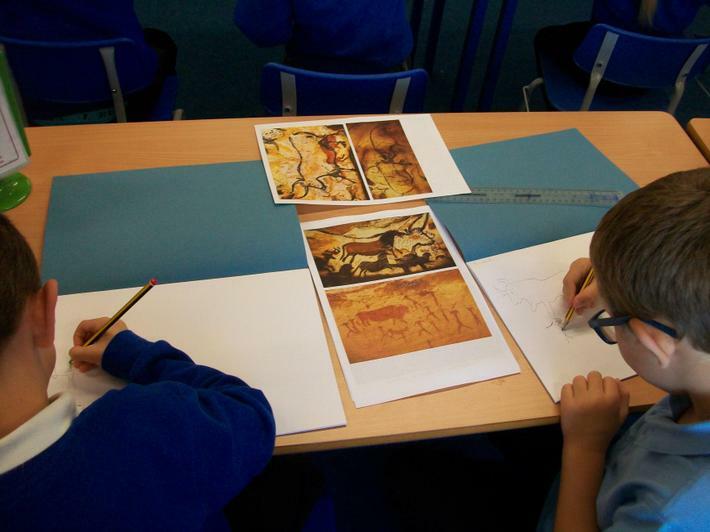 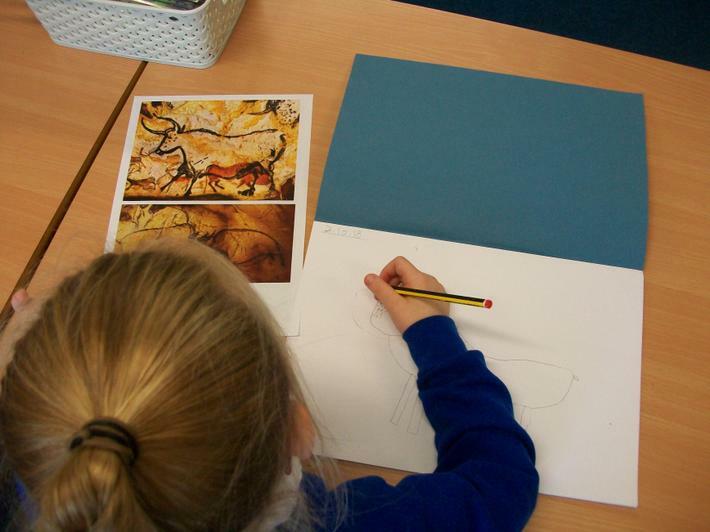 Next we made sketches of cave paintings in our sketch books. 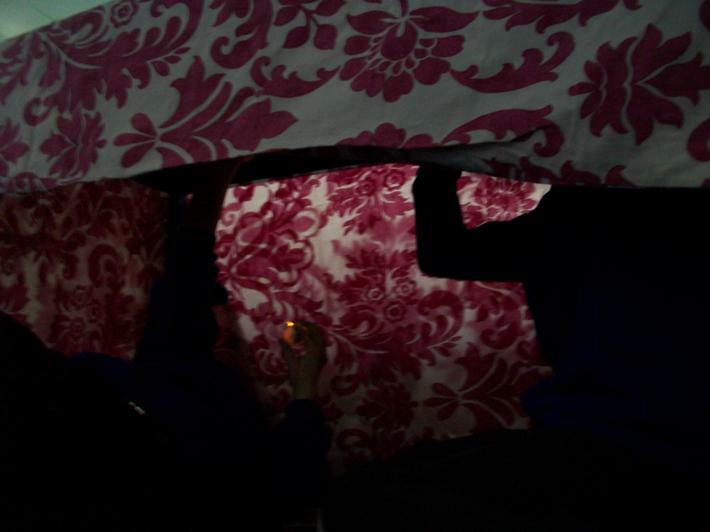 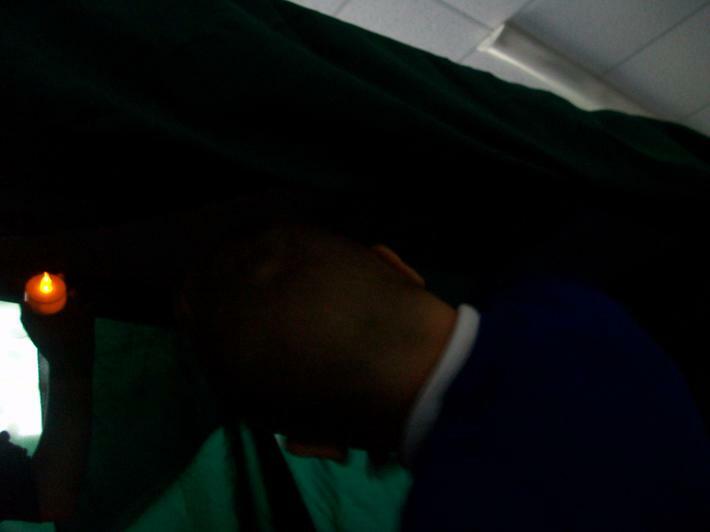 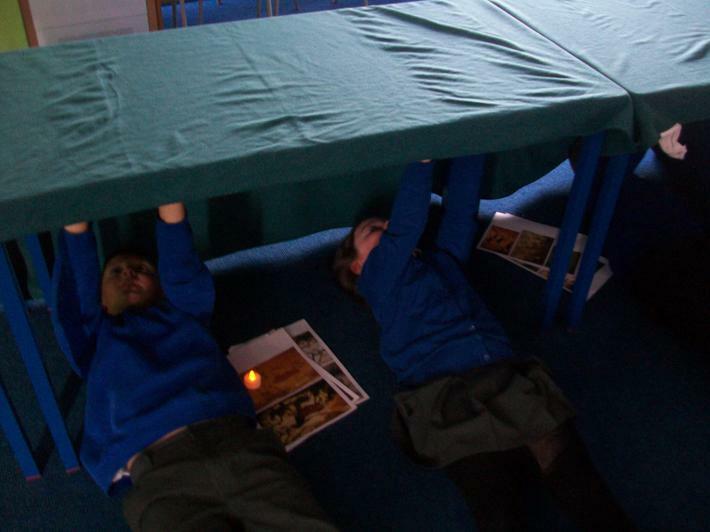 Once we finished our sketching Mrs Bell made the room dark by turning off the lights, closing the blinds and covering the tables with material. 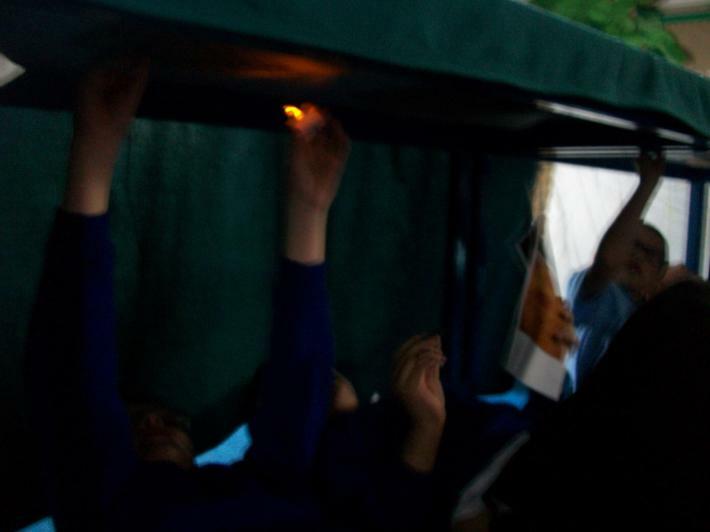 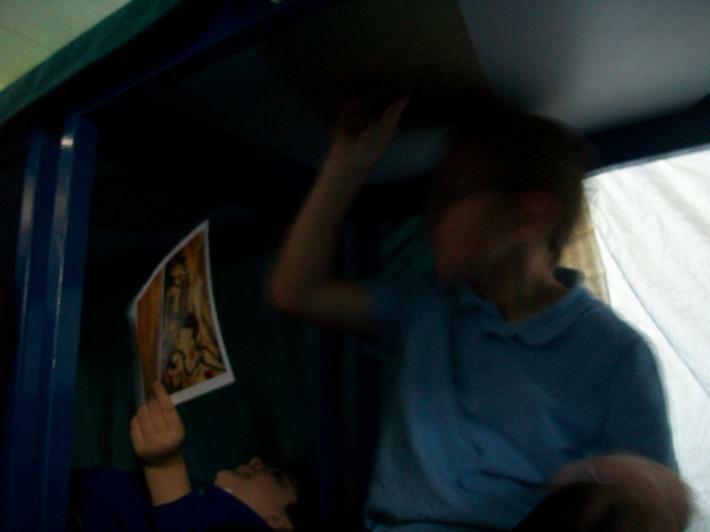 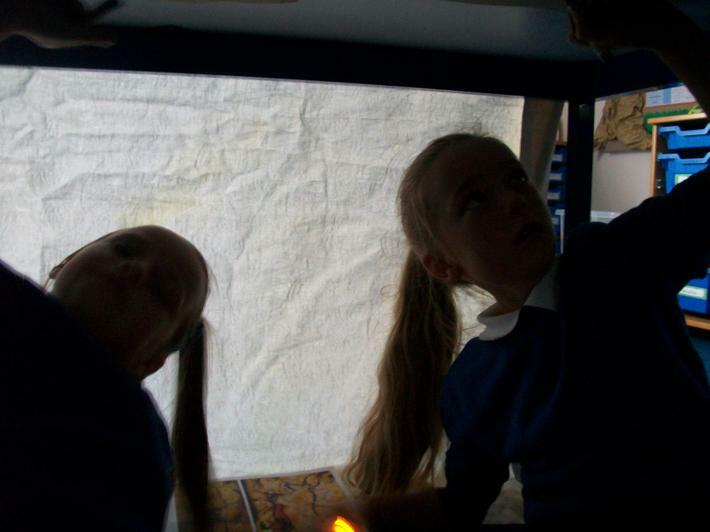 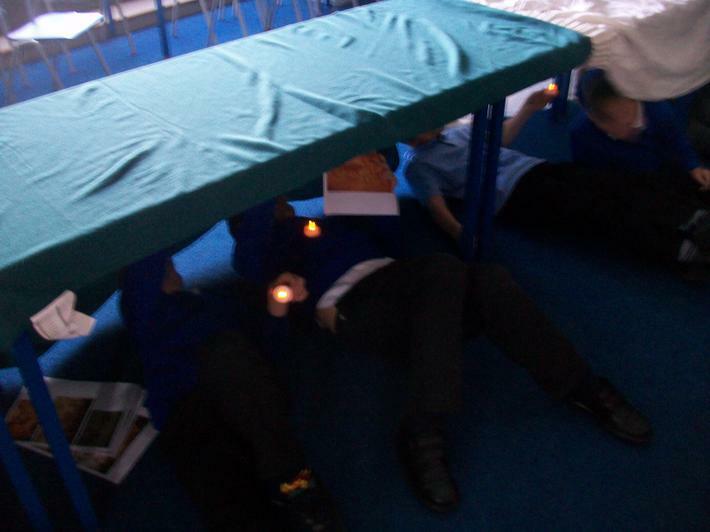 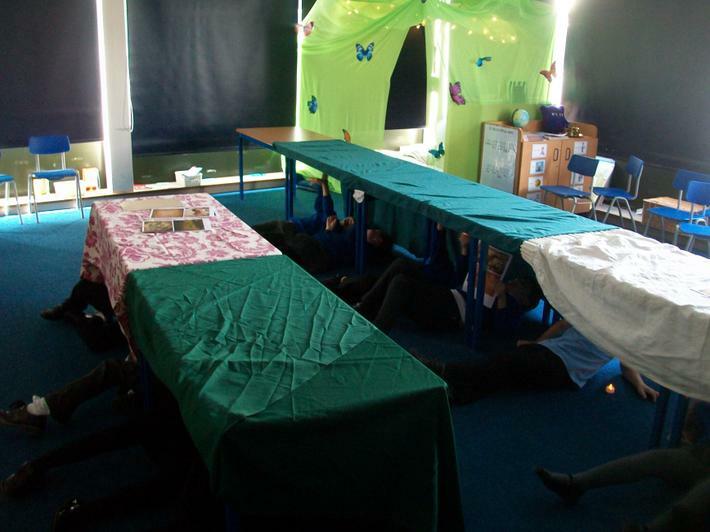 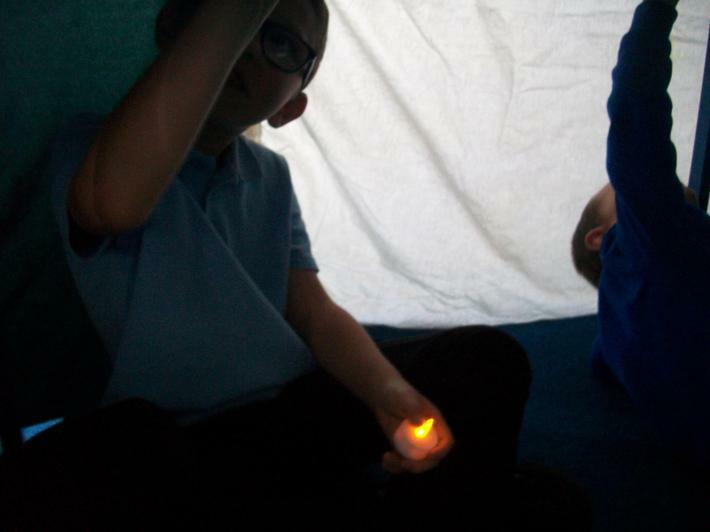 Then we stuck paper underneath the table and lay under them to create our own cave paintings with only candles for light. 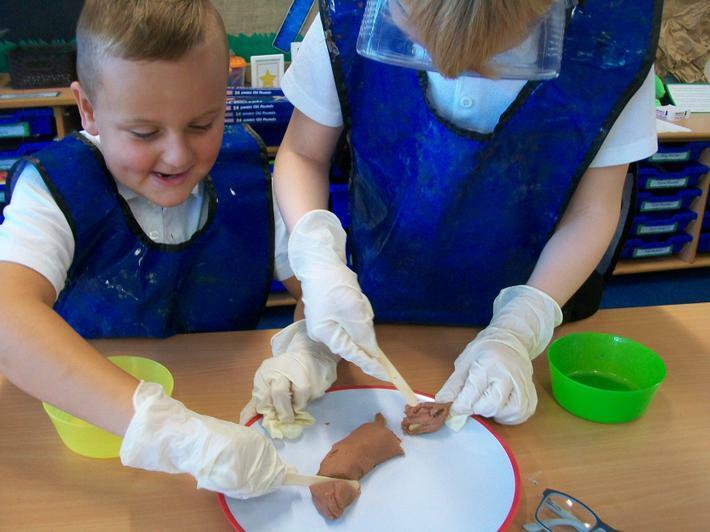 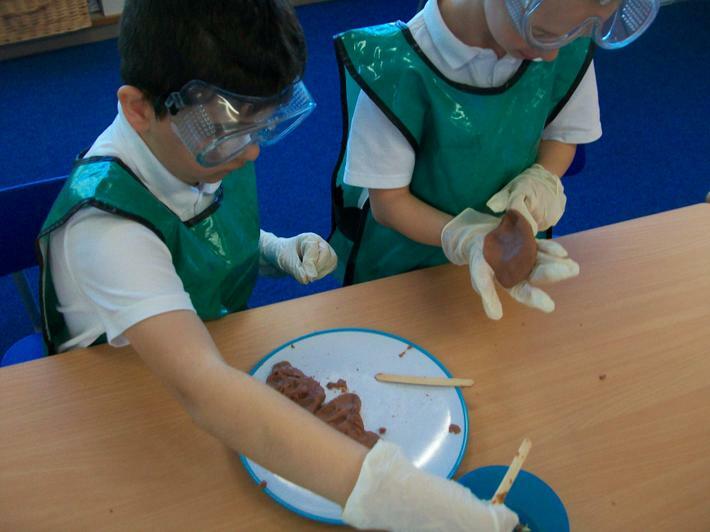 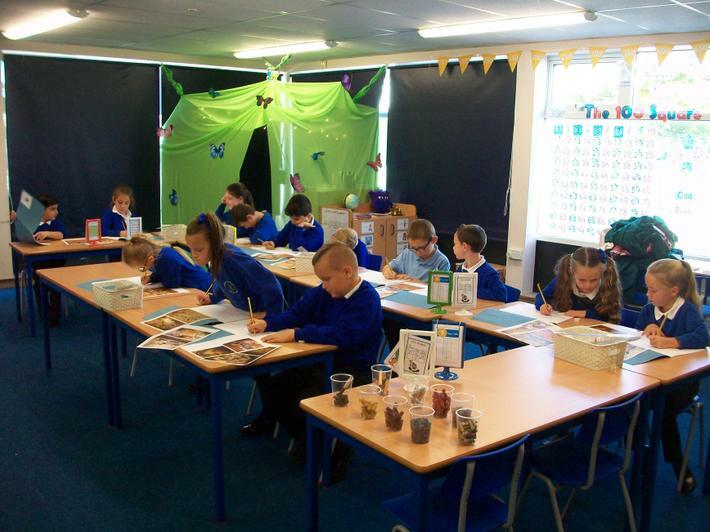 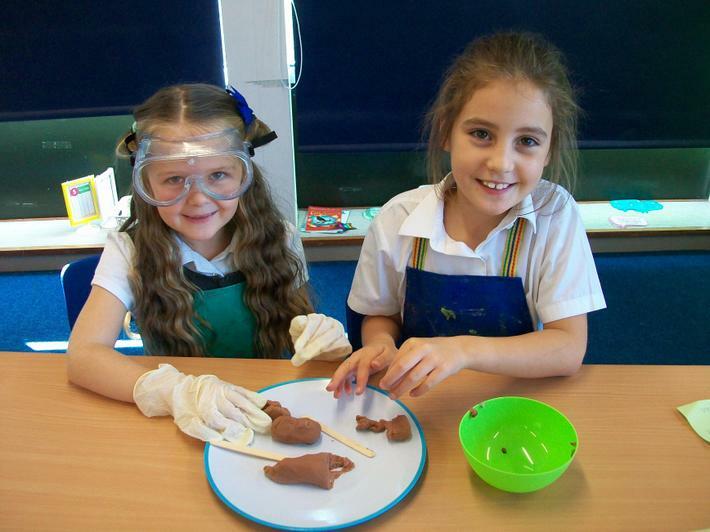 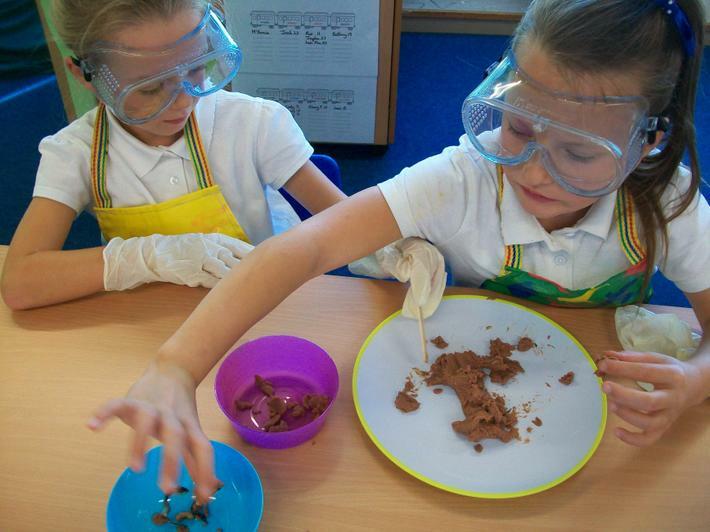 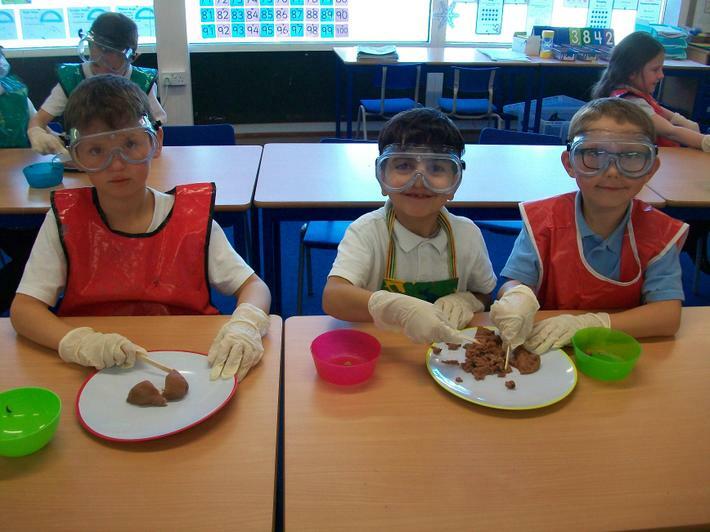 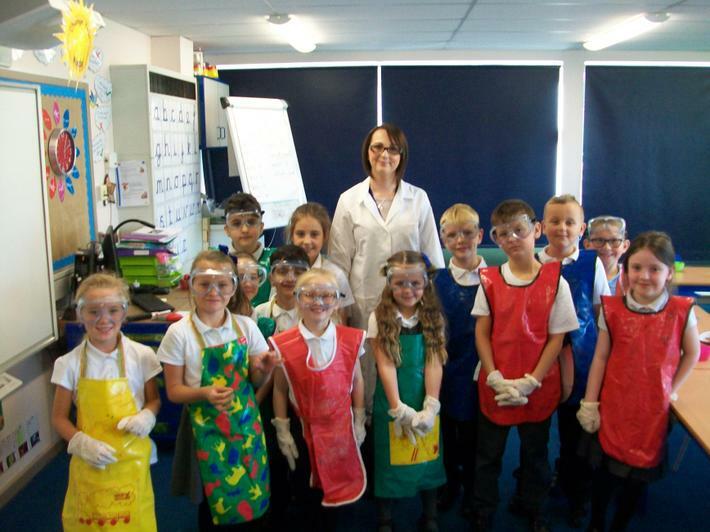 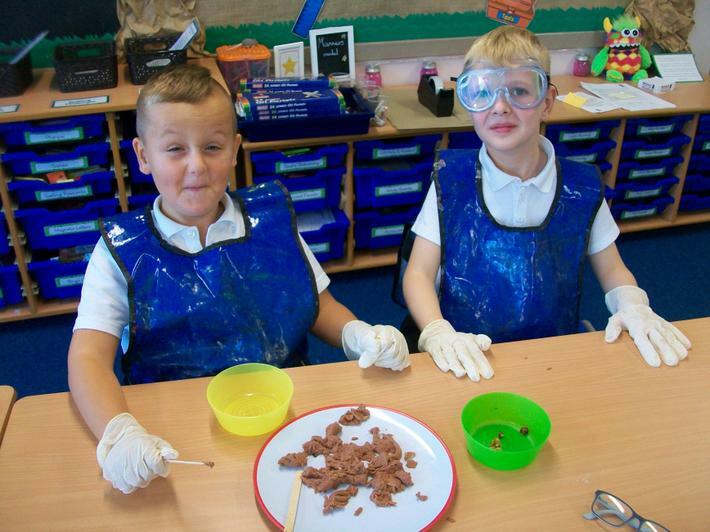 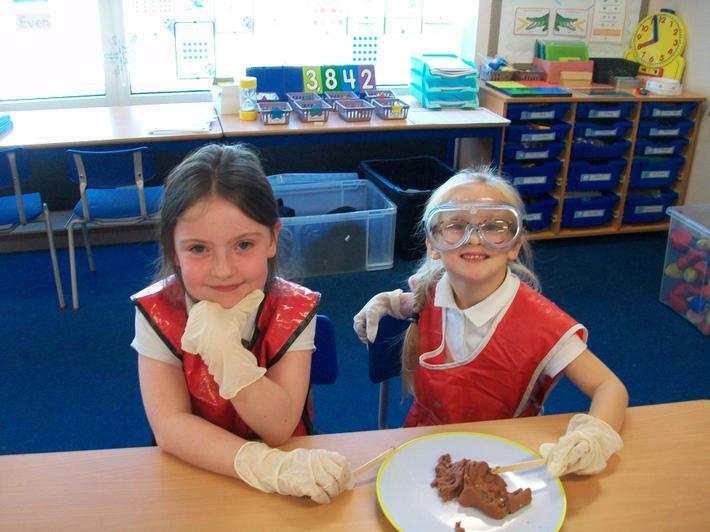 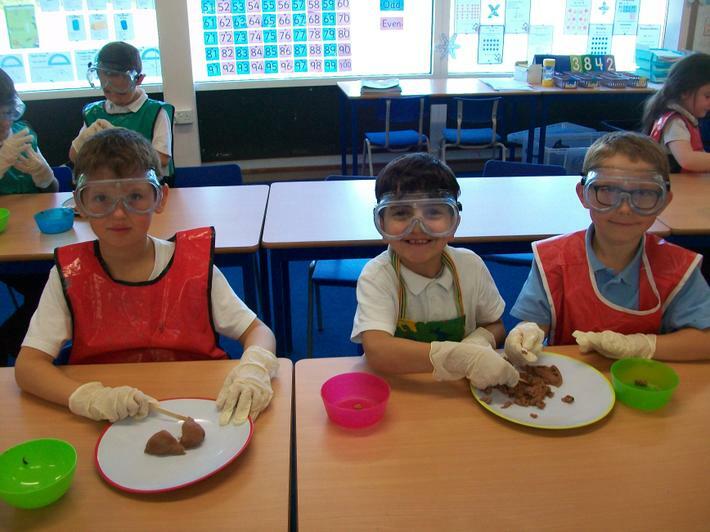 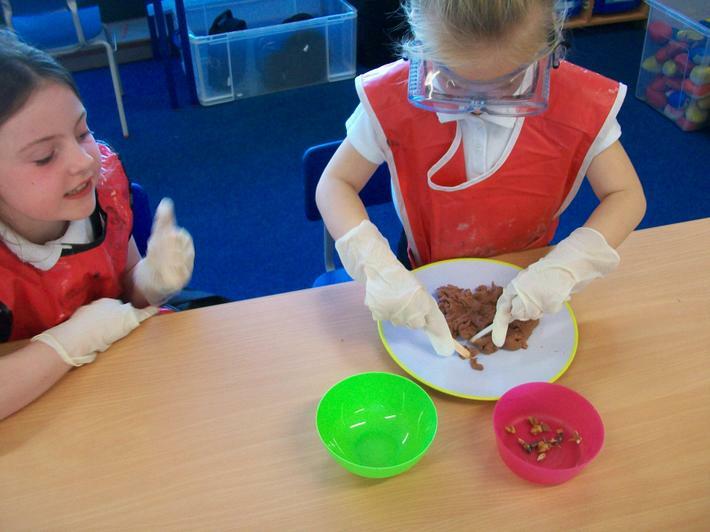 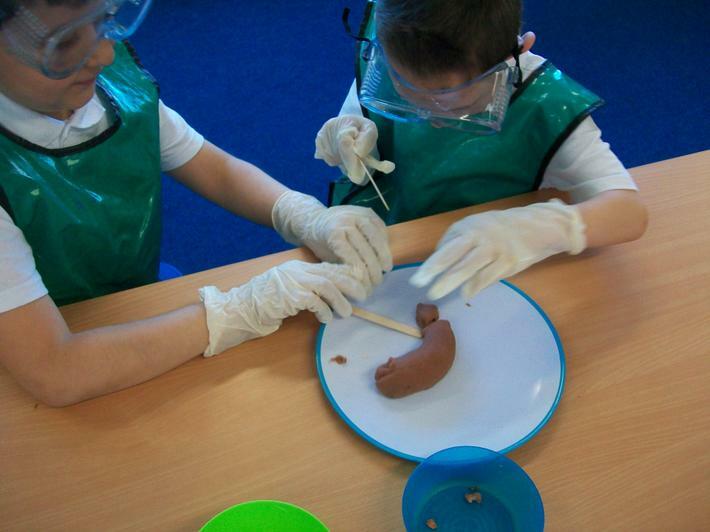 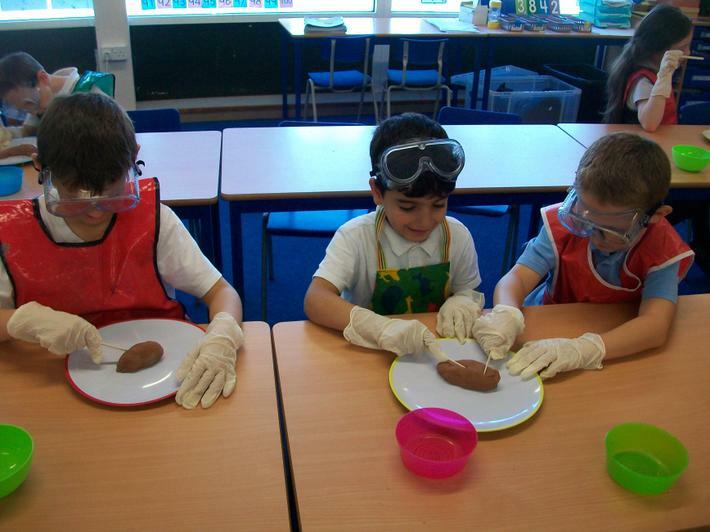 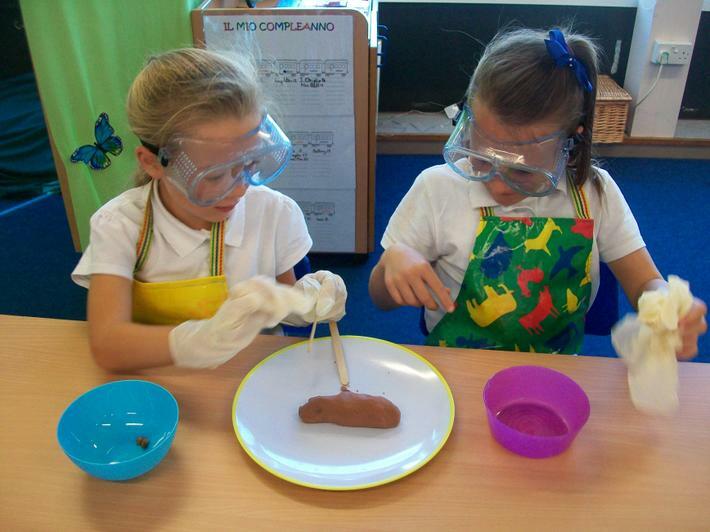 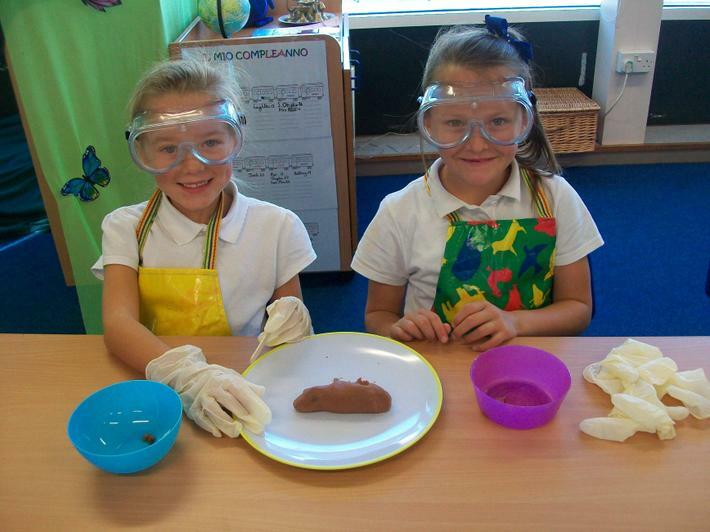 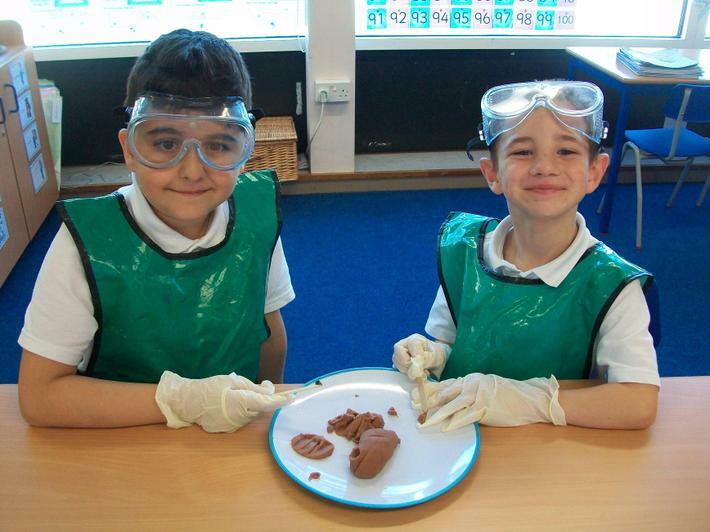 To end the day we became Scientists and dissected Stone Age poo to discover what we could learn about their diet. 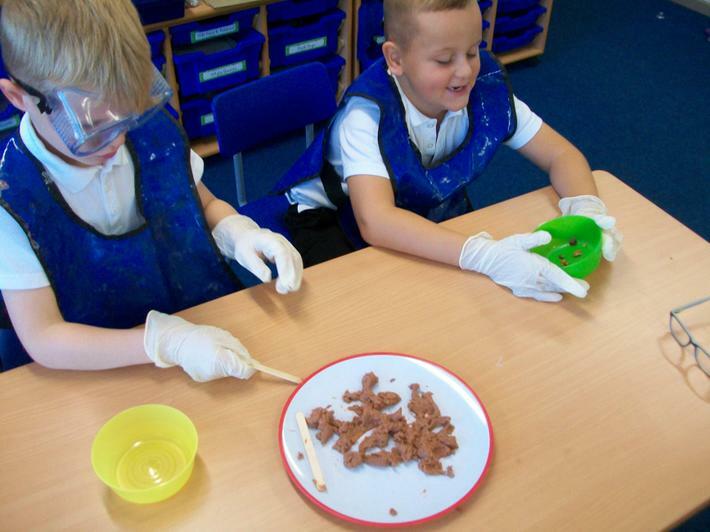 We know they hunted for meat but wanted to find out what types of food they gathered to eat. 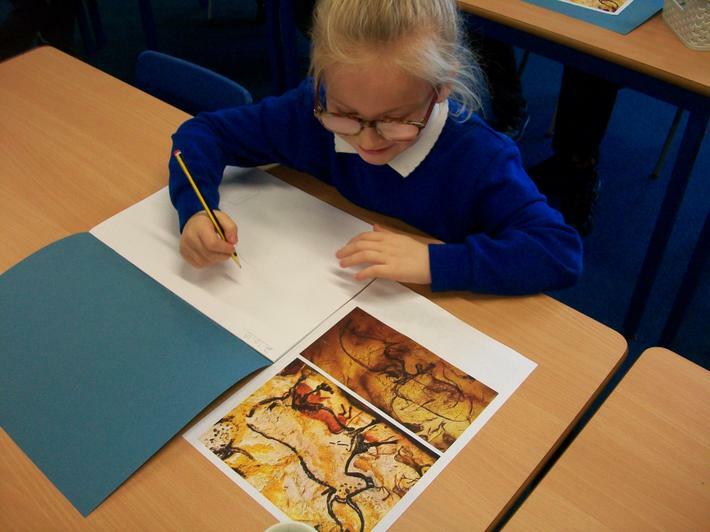 We all had a really fun day and most importantly learnt a lot about the Stone Age!